The objective of the Travel Support is to facilitate establishment of bilateral partnerships between the Donor States and Romania with the intent to participate in the upcoming call(s) under the programme. 3. Blue Growth targets initiatives for development and/or application of innovative technologies, processes, solutions, products or services based on blue resources from the Black Sea, inland waters and rivers and coastal areas. Strengthening bilateral relations between the Donor States and the Beneficiary States. These guidelines will give the ruling criteria for this CALL. A lump sum Travel Support per entity per country of EUR 1,200 for Norway / Romania, EUR 1,500 for Iceland / Romania and EUR 1,000 for Liechtenstein/Romania. Continuous submission of applications (until depletion of the budget). Official Journal L 352, 24.12.2013, pages 1-8". 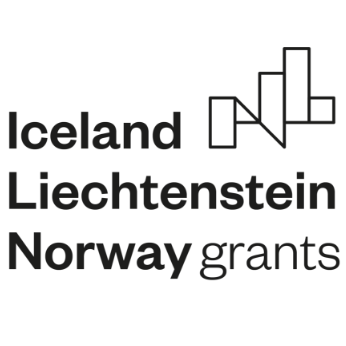 Iceland or Liechtenstein, they are eligible for EUR 2,700. In this case, Innovation Norway will award 1 Travel Support, hence, no need to submit 2 applications. Total budget for this CALL is EUR 50,000. Applications shall be submitted in English! Innovation Norway will apply a simplified application procedure. Please follow the instructions presented at the weblink indicated below. location, contact details and person that the company will meet. Entities from Romania and the three Donor States can apply for funding. The applicants must be constituted as legal entities in Romania or one of the Donor States. • Small and medium size enterprises (SMEs), as defined by Commission recommendation 2003/361/EC, and large companies with less than 25 % public ownership, functioning in accordance to enforced Romanian legislation on commercial companies, respectively: Law 31/1990 regarding commercial companies, republished, with subsequent modifications and completions or Law 346/2004 regarding stimulating establishment and development of small and medium sized enterprises, with subsequent modifications and completions. • Non-profit and non-governmental organizations (NGOs), constituted as legal entities in Romania, functioning according to the in-force Romanian legislation on nongovernmental organizations, respectively: associations, foundations and federations established according to Governmental Ordinance 26/2000 or Law 21/1924 regarding associations and foundations, with subsequent modifications and completions. Entities with the role of managers of Romanian clusters are eligible for funds if they are legally established as one of the categories mentioned above. Only NGOs that support business development will be eligible for funds (e.g. social enterprises, business organizations). NGOs should be independent of local, regional and central public authorities, public institutions, political parties, religious cults and religious organizations. - processing and marketing of agricultural products. o Travel Support is awarded per entity and not per person. • The applicant has to present that they have an eligible project idea, and that they intend to be involved either as a promotor or as a partner performing substantial tasks in the project. The travel has to be performed by the entity awarded the grant. • Reimbursement principle (you cover the expenditures from own funds and ask for reimbursement from Innovation Norway after the travel). (a)-(d) should be sent, stamped and signed, scanned, at the Programme’s official email address - RO.Innovation@innovationnorway.no), within maximum one month after the travel took place. The costs are reimbursed to the entity that has incurred the expenses and not to a natural person. For eventual clarifications, send e-mail to: RO.Innovation@innovationnorway.no.